Being a pilot is considered to be one of the most rewarding aviation careers and professions. Many people dream to fly an aircraft but only a few become licensed or registered because this thing is not easy. Lack of finances is one of a major problem since this course is considered to be expensive. According to Captain Samuel Avila, vice president of Flight Operations of Cebu Pacific in PTV News, for someone to become a pilot, he or she needs to prepare P2 million to P3.8 million for a 12-month training program. Avila added, pilot training is a high-risk investment because there is no guarantee for employment in spite of expensive training fees. He said this is one of many reasons why Cebu Pacific launches its Cadet Pilot Training, with a goal of recognizing the importance of education to produce a better number of highly skilled aviators. This program, Avila said is for Filipinos who want to become a pilot through study and train now, then pay later. 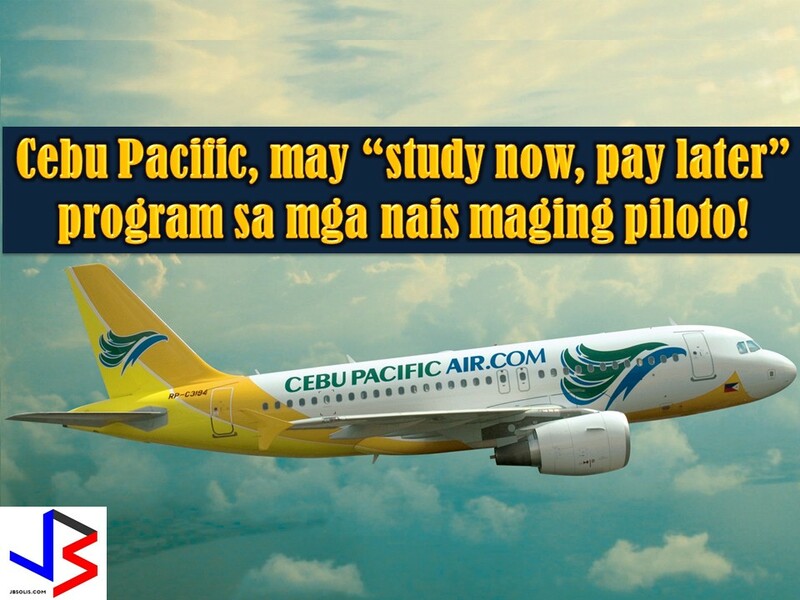 Cebu Pacific will finance the training course. Successful applicants will be employed by the airline, and they can pay for the training cost through salary deduction over a maximum of 10 years. Avila explained that rigorous screening process will be done to applicants and successful candidates will undergo a 56-Week integrated flying program flight theory and education course at the Flight Training Adelaide (FTA) in Australia. FTA provides customized aviation training solutions for the fixed wing and rotary wing industry. FTA’s goal is not just to train cadets for them to obtain a license, but to produce future airline and helicopter captains. He said the Cebu Pacific will invest USD25 million in this program for five years. Each year, three batches (16 successful candidates per batch) will be sent to the FTA. The first batch would go there in the first quarter of 2018. For those interested applicants, check the Cebu Pacific Website or click here for the application form. The applicant will undergo an online and onsite screening for core skills and aptitude test. Applicant selection for the successful candidate will be made by the Cebu Pacific and the FTA. The successful candidate will undergo training at the FTA for 52 weeks where they can earn their aviation diplomas. They will be trained on a flight simulator, then on an actual aircraft, for them to complete the licensing requirements to be a commercial pilot. They will return to the Philippines to undergo a four-week training to get a pilot’s license.